“I can write songs that may impact my sphere of influence for God and I will do so. However, if I will train other Kingdom pens to do the same, the multiplication effect for the spread of the gospel through music via my life could be exponential." Jennie Lee Riddle is a passionate songwriter, conference speaker, team trainer and worship servant. She is honored as a seven-time Dove award nominee and three-time Dove award winner, top 10 CCLI songwriter, multiple BMI award winner for top 25 radio, and two-time gold certified songwriter. She is best known for authoring Phillips, Craig and Dean’s #1 hit single “Revelation Song” first recorded by Kari Jobe, and “When The Stars Burn Down.” Jennie has also co-authored several other title cuts and singles like “Psalm 46 (Lord of Hosts) by Shane & Shane; “Hope of the Broken World” and “More and More of You” by Selah; “Mystery of Faith” by Glen Packiam; “One True God” by NewSong; “It Is Finished” by Matt Papa; “The One That Really Matters” recorded by Michael W Smith and Kari Jobe; “I Stand Before Almighty God Alone” recorded with Worship Mob; and others to name a few. Numerous other artists have covered Jennie’s songs, including Newsboys; Chris Tomlin; Phil Wickham; Jesus Culture; Dustin Smith; Travis Cotrell; Superchick; Rebecca St. James; JJ Heller; Jared Anderson; Guy Penrod; Sandi Patty; Meredith Andrews; Travis Ryan; Michael English; Corey Voss; Crystal Yates; Micah Tyler; Charity Gayle; David Gentiles; Sean Carter and many others. Her songs have been carried by the largest Christian tours including Passion and Winter Jam and are sung by churches both large and small in most every denomination throughout the world. Jennie formed the cooperative, that she aptly named People & Songs in 2012 and released the critically acclaimed community album, “Opus 1, Collective,” the first in a series. “Opus 1″ enjoyed a #1 debut on iTunes, receiving all five-star reviews to date, in addition to being touted by Worship Leader Magazine as the “Indie Best of Best for 2012.” This record was listed in the top 10 albums of 2012 by New Release Tuesday. “Opus 2” will be released in 2016. 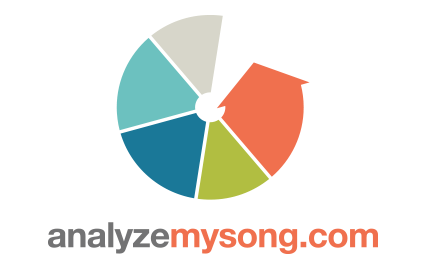 In 2013 she partnered up with her dear friend, Jayme Thompson and formed AnalyzeMySong.com as a means to give young songwriters honest analysis and help form seasoned Kingdom writers. This organization won “Best Of Best” for 2014 and 2015 in songwriting from Worship leader Magazine. Also in 2013, a program dear to Jennie’s heart was realized. The Emerging Sound, a songwriting intensive for teens, hosted with People & Songs, launched its first event in the summer of 2014. It is a non-profit 501c3 that exists to arm creative hearts with the life-changing power of the gospel using the tool of songwriting. It won “Best of” for 2015 by Worship Leader Magazine. 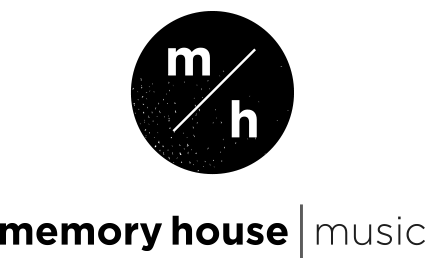 The latest endeavor is the launch of a 40-week Emerging Sound internship program, aimed at growing those called into music ministry. This program run by Jennie and Darrin is an expansion and formalization of the hospitality and discipling ministry they have enjoyed together for over 20 years. Jennie’s strong calling towards mentoring leaders fostering Kingdom culture, and growing communities of creatives has led her to hold key roles in programs such as GMA’s Experience Immerse, The Linger Conference, Experience Conference and others. She is regularly found in classrooms of all sizes around the US in hopes of inspiring creatives. She travels throughout churches in the United States, Europe, and Asia with fellow writers, artists, speakers, and those she mentors. Darrin and Jennie have been best friends for 29 years and married for 27. They have four children, ages 17-25, and reside in McKinney, TX.